Can you post a photo of your set up? Any idea what you bumped? It can make a big difference. Shorting a Ground pin to Vcc could easily fry the chip. It is possible to "brick" the chip, by mis-setting the clock source fuses, but that seems a bit unlikely, (but never say never...). Cliff as a nice tutorial on recovering from a locked out micro, HERE. You might give it a read through and see if it helps with your micro. Does this mean that the Mega2560 was already programmed and the ISP was reading it back to verify the new program was loaded correctly? Or that the Mega2560 was in the process of being programmed? Does the Arduino_as_ISP still work with other AVRs? Does the USBasp work with other AVR devices? If you have no other AVR ICs, does the USBasp read the memory of the Arduino_as_ISP? There could be two problems, one, the Arduino is not working because the Arduino_as_ISP program that has been installed on the Arduino has become corrupted. Can you load a simple blink test program into the Arduino (that is being used as ISP) using the PC USB and the bootloader? Two, the USBasp device may not be working correctly. Possibly the driver has not been loaded correctly into Windows. Microsoft makes it very difficult to upgrade drivers such as libUSB. Unless the driver signature enforcement is disabled, the new driver won't load and there is no indication that the process has failed. How is your device programmer connected to the Mega2560? Is it with a 6-pin or 10-pin header? Or "the wires held onto the pads with my fingers" situation? Are all of the grounds and Vcc pins on the Mega2560 connected to Gnd and Vcc? I had experienced that with my mega 8 many years ago. My case is the power to target somehow disconnected while programming the chip and the mega 8 dead. I had tried anything including HVP but failed. The 2560 has no RSTDISBL fuse, so it's not possible to completely 'brick' it in that way. However, there are some undocumented ISP instructions which can affect the signature row. That row also contains, apparently, factory-programmed parameters which could potentially render the AVR for all intents and purposes, 'dead'. However, the first thing I would try is either HVPP, or at least try to inject a clock into XTAL1 during ISP. Well i have setup everything in a proper PCB,( No not the home made ones but a professionally fabricated PCB and i have assembled 3 of those and the other 2 are working perfectly fine. What i bumped is not Vcc or Gnd anyway. Because ISP arduino and this board share a common power supply, so in addition i was connecting SCK MOSI MISO AND RESET from arduinoisp to this board using jumper wire, So i can say i bumped one of those. Arduino as ISP works with other AVR'S and i can say it works with other copies of same board. USBasp also works fine with other board. I have assembled 3 boards of this kind so i can say the issue is with this particular atmega itself and not with ISP. So in my PCB I Have included a header to connect gnd,MOSI,MISO,SCK and reset. so this goes to ArduinoISP or USBasp using jumper wires. Yea all gnd and vcc pins of mega are connected properly.I verified it. had experienced that with my mega 8 many years ago. My case is the power to target somehow disconnected while programming the chip and the mega 8 dead. Too expensive to buy a HVPP programmer. HVPP would be the last resort. Have you tried the other techniques? Injecting a clock into XTAL1? Make sure your programming clock speed is < 1/32 of the injected clock. If you inject 1 MHz, programming clock must be less than 31 kHz. Also, try attaching a 32.768 kHz watch crystal to XTAL1/2, and set programming clock to 1 kHz or less. Okay now stage 2 of the problem.. I had one last atmega2560 IC left.. so i removed the other one from the board and placed this unused atmega. I burned bootloader.. i burned first sketch.. it went well.. and in the second attempt i am again getting target not answering..But i can say this chip is not dead because once in a while programmer is able to get it into programming mode and read the fuses and stuffs. But most of the time i get target not answering and once in a while i even get wrong signature errors. I checked the connections ( did a continuty test between pins and programmer wires ), Checked connection to crystal, Checked power supply to all vcc and gnd. All these seems fine. So what might be wrong now? As above, post a photo of your PCB. Also post an accurate schematic of exactly how you have your PCB wired. Show EVERY connection you have made to the chip! I assume you are 'burning' the sketches via the bootloader, and not ISP? Have you correctly set the fuses for bootloader operation? If not, this explains your symptoms i.e. first sketch bootload works, subsequent attempts don't. Now iam avoiding bootloader.. I am burning directly via USBasp..
And now i got everythign working when i removed 22pf capacitors from crystal. Now UsbAsp is able to write to it and the program runs fine.. I added a different 22pf Capacitor, but if i add those caps it stops working..So whats wrong here ?. Are you sure you've got 22 pF caps? And not 22 nF caps? I have attached the PCB photo before soldering the Atmega. My Phone Cam is not working thats why iam not able to click the latest pic, but i guess this pic would give you an idea. And at the moment in the present board iam trying i have removed all other peripherals and its at bare minimum now, with just crystal connected. the problem starts when i add loading capacitor. So i guess the 22pf is too much here ? Yea.. and i had 22pF bought from 2 different vendors. 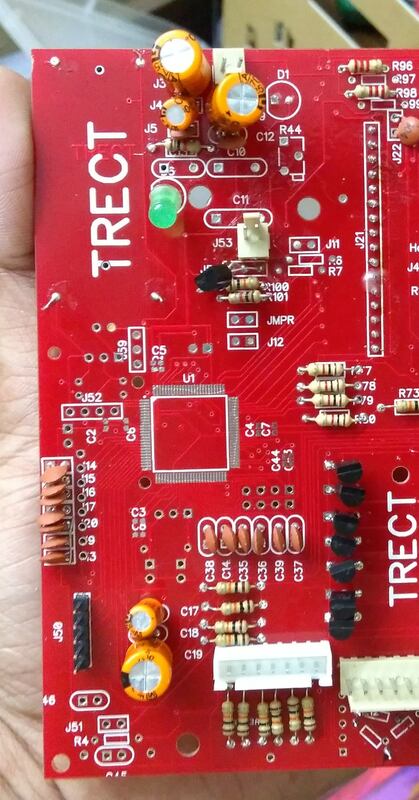 so i tried with the other one too and the result is the same.. And strange thing is i am using same cap on other copies of same board and so far i have not faced any issue..
any tiny things like amount of solder lead and stuff will influence this ?.. Of course. It's called 'parasitic' capacitance. 22 pF could be a bit too high once you consider that parasitic capacitance. What crystal are you using? Part number? Datasheet? You could try 18 pF, at least until you can determine the ideal value. It looks to me like your crystal and caps don't abide by the rule 'as close to the AVR as possible' The traces appear to be needlessly long. It also looks like the ground trace for those caps may be shared by some other components. That's a no-no. Can you post your PCB layout? Where do you connect it? I don't see any crystal or caps for them on the board. I'd guess it's just to the right of the C3 label. 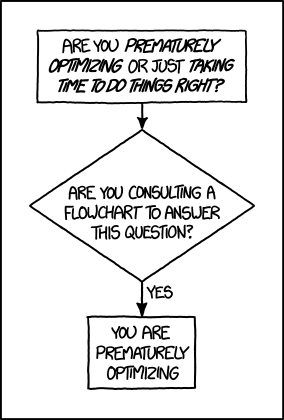 If you don't post a schematic it will be difficult to provide further suggestions. Are all four Vcc pins tied to Vcc? Are all four Ground pins tied to Ground? Is AVcc tied to Vcc, either directly or through an LC filter? Is the Ground associated with the AVcc pin tied to Ground? Is ARef either left not connected, or connected to a small cap to Ground, and NOT connected to Vcc? Why does your PCB not have any By-Pass caps installed? You need a small cap, typically 0.1 uF, connected across each Vcc and Ground, and AVcc and Ground, pairs of pins. These caps need to be VERY close to the micro's pins. As mentioned above, the caps for the Xtal should be close to the Xtal, and both the Xtal and its caps as close to the micro as possible.